Coming soon to Greenhouse! Check out this new election feature. Shows a “double popup” with polling data when you hover over candidates in hot house and senate races. 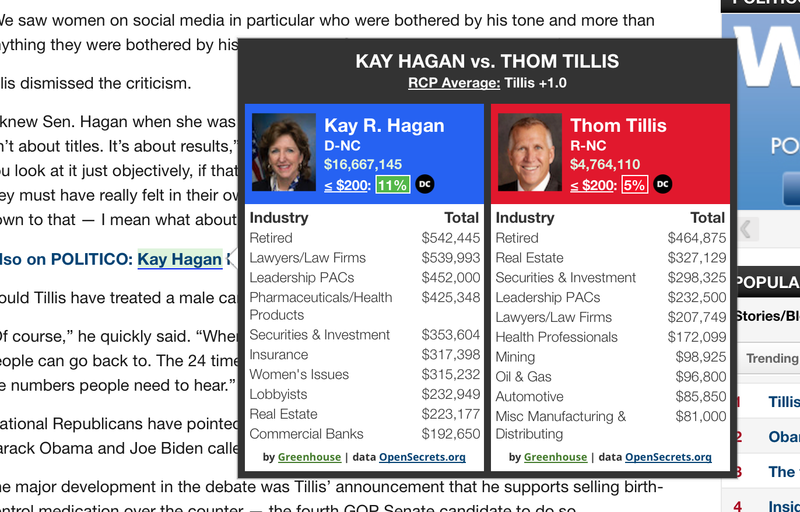 Perfect comparison tool – use it to vote smarter!